When first being exposed to Wing Chun or Wing Tsun, you may have heard statements such as: “You don’t need to be strong to be good” or “You can defeat a stronger opponent even if you are weak”. Perhaps this is what attracted you at the start. Being strong and not being weak are two different things! How about physical fitness? Do you have to be fit to do Wingtsun Kung Fu? To be good in Wingtsun Kung Fu, being fit is very important. Cardiovascular endurance: The ability of the circulatory and respiratory system to supply oxygen during sustained physical activity. Body composition: The relative amounts of muscle, fat, bone, and other vital parts of the body. Muscular strength: The ability of muscle to exert force. Muscular endurance: The ability of muscle to continue to perform without fatigue. Flexibility: The range of motion available at a joint. Agility: The ability to change the position of the body in space with speed and accuracy. Coordination: The ability to use the senses, such as sight and hearing, together with body parts in performing tasks smoothly and accurately. Balance: The maintenance of equilibrium while stationary or moving. Power: The ability or rate at which one can perform work. Reaction time: The time elapsed between stimulation and the beginning of the reaction to it. Speed: The ability to perform a movement within a short period of time. Most would agree that strength, body composition, and both kinds of endurance are important for any type of physical activity. 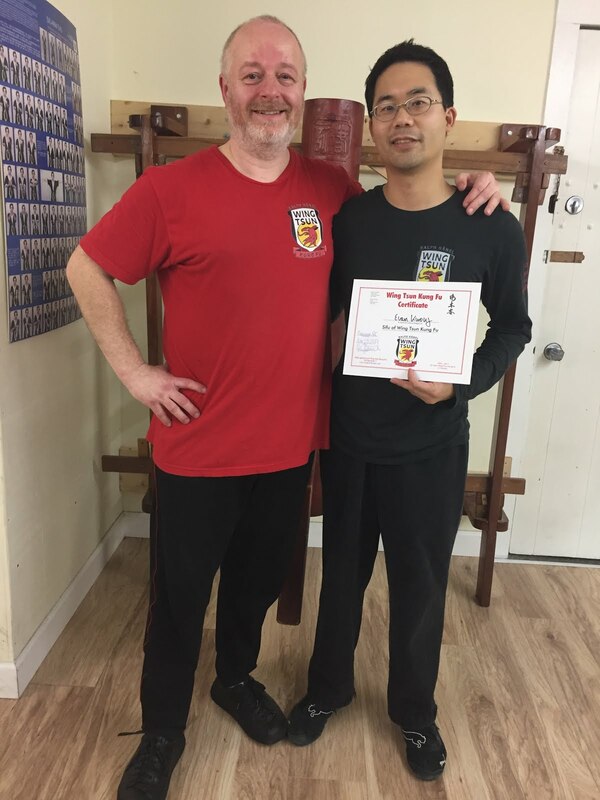 Why should Wingtsun Kung Fu be any different? Do some of the other terms look familiar? How about if we add: Centreline, Distance, and Positioning. And if we complement Agility and Flexibility with Mobility and Fluidity? And with Power, also Release Power. Perhaps you have seen Sifu Ralph’s CoreConcepts!!! If Wingtsun Kung Fu and self-defense training is a physical activity, maybe physical fitness is important after all? unlike a lot of fitness pros, who often buy into the clients goal, that mostly focuses on looks, the sports medicine people are more zeroed in on 'function'. i assume this is likely why their stuff sounds like ralphs WT concepts.